We’re in the age of dystopian fiction, and I love it! So much of the genre’s criticism is that once you’ve read one, you’ve read them all, but honestly, I can’t read them fast enough! Prior to finding The Testing, I fell in love with Marie Lu’s Legend trilogy, so I was hungry for a series that would capture my attention like that did. 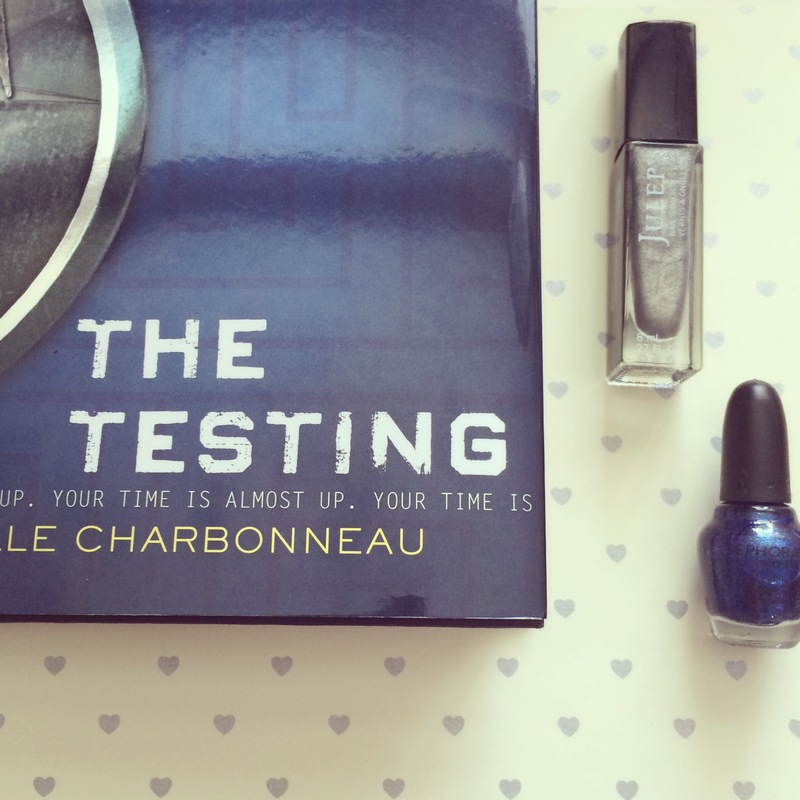 The Testing, and its sequel Independent Study, grabbed me right away, and have me anxiously waiting the third installment that comes out later this month. 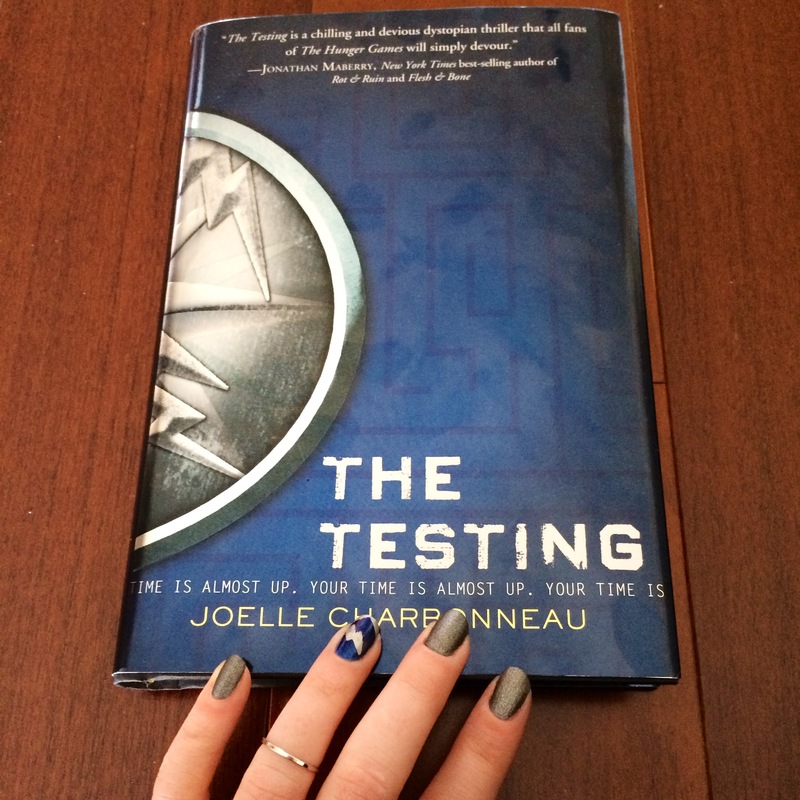 My favorite way to describe The Testing is an “intellectual Hunger Games.” It follows Cia Vale, a girl who has just entered adulthood and is chosen for The Testing, a rigorous process designed to find the best and brightest future leaders. Right before she leaves her family and home behind, her father gives her a cryptic warning about not trusting anyone. Alone and scared, Cia has to figure out how to survive and if she can even trust someone from her childhood. Suspense, romance and adventure mix with a totally relatable heroine to give us a series you can’t put down. One striking trait that Cia possesses is her distinct combination of intelligence and common sense. Too often, characters are portrayed with either one or the other, but rarely both. And with her strength comes a true sense of self. Cia knows how she was raised, sticking to her moral compass through very trying tasks, and she never once wavers. That’s probably one of my favorite aspects of the book. Now let’s break down the products I used and techniques I employed to create this mani. Obviously I found Brit, the perfect matte silver in my huge Julep Nail Polish collection. I debated putting a top coat on it to give an overall shiny look, but I really liked the dimension created by leaving it matte. For the blue, I used one of the mini Sephora by OPI Cinderella collection nail polishes in I Blue My Curfew. 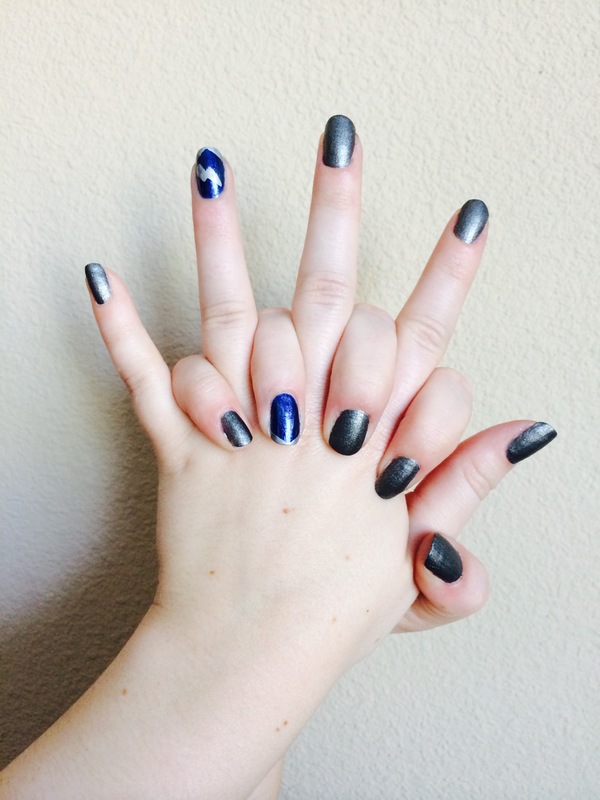 My favorite trick from this manicure came with the product I used to create the partial french mani & lightening bolt from the book’s cover – a silver SHARPIE! I read about this trick many moons ago on The Beauty Department, but hadn’t tried it out until today. It definitely gives you so much control because you’re basically drawing on your nails. You also have the security of knowing that a mess-up can be wiped away with a bit of rubbing alcohol, which thankfully doesn’t ruin the base polish. Now for the small downsides. Even though I waited much longer than I thought was needed to allow the Sharpie to dry, I still found the top coat smearing the silver a tad. 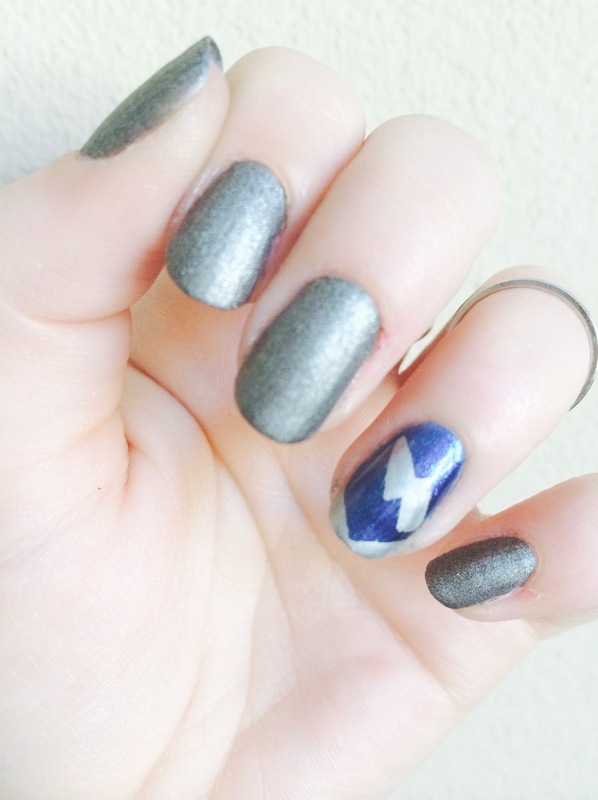 Also, I noticed the pen smudged the base polish a bit, which left a bumpy texture. When it comes to the nail lacquer, I have mixed feelings with this particular Julep polish. It chips, quick. Within 24 hours, both my thumbs had huge pieces missing, mainly because I didn’t put a top coat on. I have a matte top coat from Sephora, but I’ve never used it with a matte nail polish and didn’t want to risk it this time around. I’ll definitely post an update once I try it! Have you read The Testing? Do you love the dystopian genre, or do you think its been overdone? Happy Reading!